In today's ever-changing real estate market, you need a real estate professional you can count on. 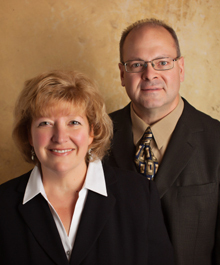 Lori & Doug have proven their ability to effectively handle any situation that may arise during a real estate transaction. Lori & Doug understand it all - marketing, lifestyle needs, and negotiation - and will help you through many important decisions with the grace of seasoned veterans. Through the whole process, Lori & Doug never lose sight of the fact that real estate involves much more than legalities and contracts, it is really about helping people achieve their goals. 2006 " 7.6 Million Sold"
2007 " 10.2 Million Sold"
2008 " 6.9 Million Sold"
2009 " 7.7 Million Sold"
2010 " 10.8 Million Sold"
2011 " 6.7 Million Sold"
2012 " 10.3 Million Sold" All Company Most Listings Sold! 2013 " 9.3 Million Sold"
2014 " 11.9 Million Sold"
2015 " 13.4 Million Sold"
2016 " 19.1 Million Sold"
2017 " 14.1 Million Sold"
2018 " 15.2 Million Sold"